Virginia Peninsula residents can now earn industry certifications for well-paying technician, technologist and trades positions in the region thanks to Thomas Nelson Community College and the Virginia Legislature. Through the development of 19 workforce programs at Thomas Nelson, and a new state grant, individuals can qualify for support for up to two-thirds of the cost of tuition and fees for the national certification exams. Funding through the New Economy Workforce Credentials Grant (WCG) Program, approved by the Virginia General Assembly this year, will enable approximately 10,000 Virginians to receive Workforce Credentials Grants. The performance-based funding model is the first in the nation and represents the first significant public funding for workforce training programs in the 50-year history of Virginia’s Community Colleges. 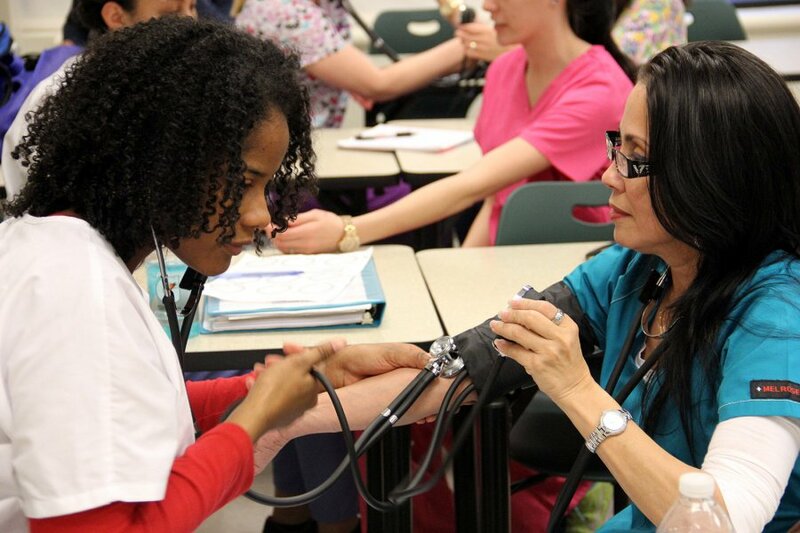 WCG offsets the cost of tuition on 19 of Thomas Nelson’s high-demand credentials programs in Health Careers, Skilled Trades and Information Technology. Certifications in Ethical Hacking, Certified Information Systems Security Professional (CISSP), Certified Nurse Aide, Manufacturing Technician, Welding and more have been identified as in-demand certifications on the Peninsula. Virginia’s Community Colleges consulted with Virginia businesses to develop the list of eligible credentials. The Virginia Board of Workforce Development identified more than 170 in-demand jobs aligned with the Commonwealth’s economic development targets for which Virginians can train through the new workforce credentials program. On the Peninsula, businesses identified a need for cyber security, information technology, health care, skilled trades, welding and manufacturing, and logistics and transportation as in-demand. Thomas Nelson is fulfilling that demand with programs that provide students with applied, hands-on learning and an opportunity to earn industry recognized credentials that meet industry needs. Additional funding for Workforce Development programs is available through Financial Assistance for Noncredit Training that leads to Industry Credentials (FANTIC). This program serves low-income Virginia residents who meet certain eligibility requirements. For additional information about the new Workforce Credentials Grant Program at Thomas Nelson and additional Thomas Nelson Workforce Development financial assistance, visit tncc.edu/workforce, or call (757) 825-2937.